It’s been a rough winter thus far. While people are busily keeping themselves nice and warm amidst rain, blizzards, and heavy winds, those in the material handling industry should take extra precautions to keep themselves not only warm, but also safe through the wintertime. 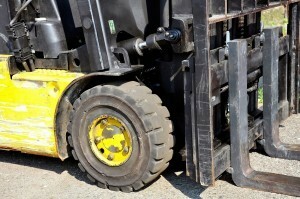 Operating a forklift in a hazardous outdoor environment where temperature and weather are highly inclement is the perfect recipe for accidents. But it does not have to be. Here are 5 forklift safety tips that will help you to survive the winter without a serious tumble. Forklift operators should give their forklift a detailed inspection to minimize the chance of experiencing a forklift breakdown and getting stuck in the middle of an aggressive winter storm. Have the cooling system checked and winterized to avoid a busted radiator. 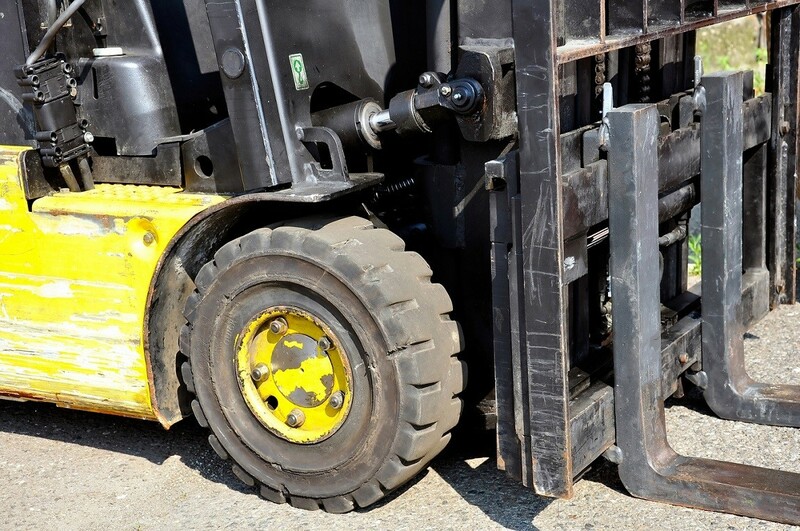 Repair parts and perform a thorough mechanical inspection (and makeover) so the forklift can operate efficiently and safely in tough weather conditions. No matter where you live, winter is a time where temperature drops and wind intensity increases. Encourage multiple layers of warm dresses, hats, gloves, and wind-proofing clothing to keep your operators warm and comfortable on duty. OSHA also recommends workers to have “an inner layer of wool, silk or synthetic (polypropylene) to keep moisture away from the body.” Additionally, thermal wear, wool, silk or polypropylene, inner layers of clothing are also known to hold more body heat than cotton. When picking your clothing style, bright colors are excellent in promoting visibility and keeping you and your co-workers safe when low lighting and windblown elements compromise your vision. Besides equipping workers with the proper tools to get the job done, employers should also develop a clear work plan to help workers identify potential hazard on the field. Provide a map and have your workers study the route and job site ahead of the time so they are remotely familiar with the terrain and know exactly what to do when visibility becomes a problem. Lastly, because winter weathers can be tricky and even aggressive, employers should always monitor outdoor condition and ensure workers have reliable means to communicate to each other and the control center in case of an emergency or evacuation. Employees working in cold environment can potentially experience cold stress that can sometimes lead to life-threatening conditions. According to the Center for Disease Control and Prevention, the types of cold stress an employee can experience include hypothermia, frostbite immersion foot, and chilblain. Hypothermia, for example, is abnormally low body temperature that impedes clear thinking and mobility. To ensure that the victim gets immediate attention and help, employers are required to train and educate employees to not only recognize signs of cold stress, but also know the procedures it involved to treat the person and get professional help. Operating a forklift in the wintertime takes great discipline. On top of combating against the chills and other unpleasant weather conditions, forklift operators are expected to remain sharp and attend to their work with great precision. Help your forklift operators to make safe choices this winter by giving them a functional forklift and equipping them with the knowledge and tools for survival. Make sure your employees are warm, and if you want, treat them a cup of coffee or hot cocoa before they go out into the cold!